Mediterranean Style Loaded Street Fries are perfect for game-time snacking. 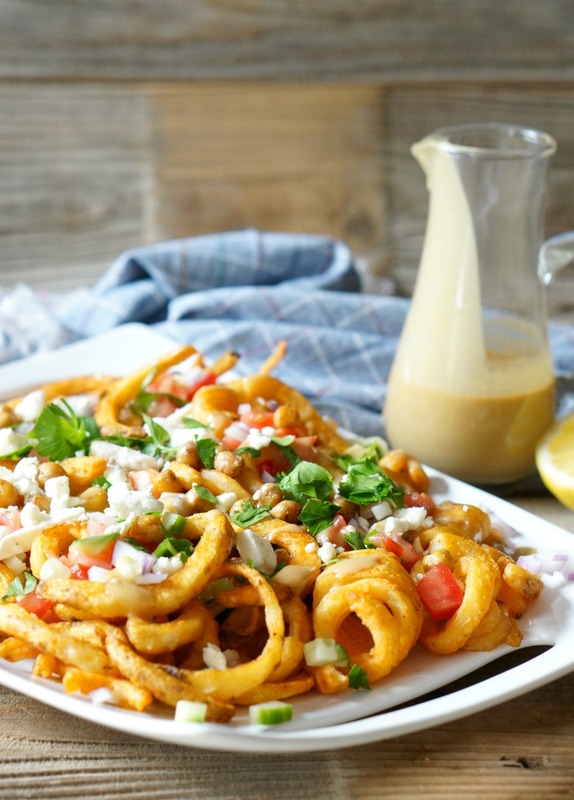 Seasoned curly fries are loaded with fresh, crisp veggies, feta and a creamy tahini dressing. Spring is full of great sporting events – basketball, soccer, baseball and golf – and, we’re watching it all. 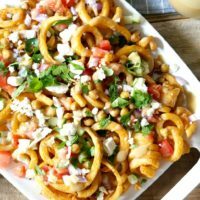 A good game needs good food and to that end, I plan to serve up these Mediterranean Style Loaded Street Fries for my watching parties. Now that the weather has gotten a big warmer, I’m adjusting my game-time comfort foods with fresh produce of the season. And, these Mediterranean Style Loaded Street Fries are getting the full treatment. 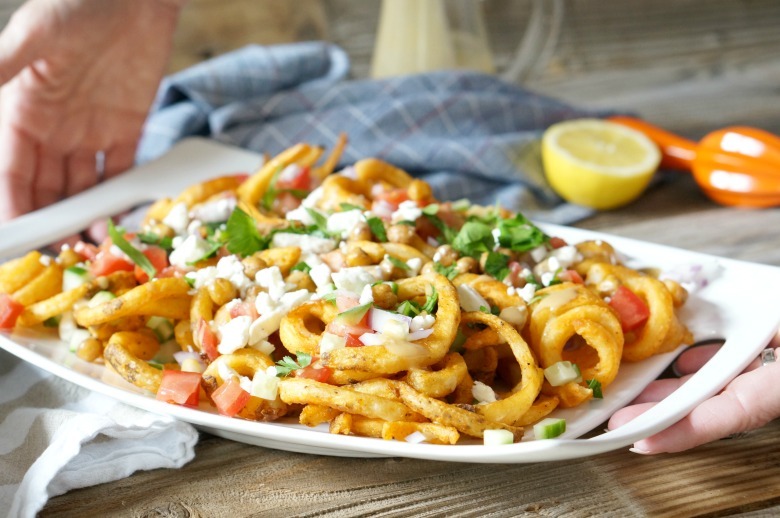 Starting with McCain® Seasoned Curly Fries Seasoned Potato Fries – these real potato fries are flavor packed and get super crispy – we’re adding chopped tomatoes, diced cukes, minced red onions, parsley, feta, a creamy tahini dressing and a spritz of lemon for a food truck-type dish served from the convenience of home! Because they are serving as the base for a lot of ingredients, make sure your fries get super-crispy in oven. I usually cook them for a few extra minutes! When chopping the veggies, I like to make sure they are pretty finely diced. 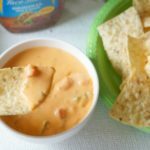 You’ll also want to squeeze some of the moisture from the tomatoes. We don’t want to get our fries soggy. Finally, pour the tahini dressing on top of the Mediterranean Style Loaded Street Fries just before serving. Don’t forget to add a squeeze of fresh lemon too. It lends the zest to round out this dish. Cook fries according to package directions. Meanwhile, pat garbanzo beans dry with a paper towel. 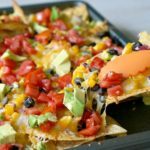 Pour out onto a sheet pan and drizzle with 1 Tbsp. olive oil. Season with salt and pepper. In the last 10 minutes of baking the fries, add the garbanzo beans to the oven to roast. Prepare the tahini dressing. 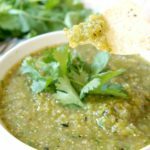 In a small bowl, combine the remaining 3 Tbsp. 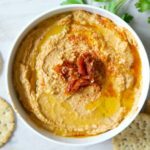 of olive, lemon juice, and tahini. Season with salt and pepper. Whisk until smooth. Pour out cooked fries onto a serving platter. 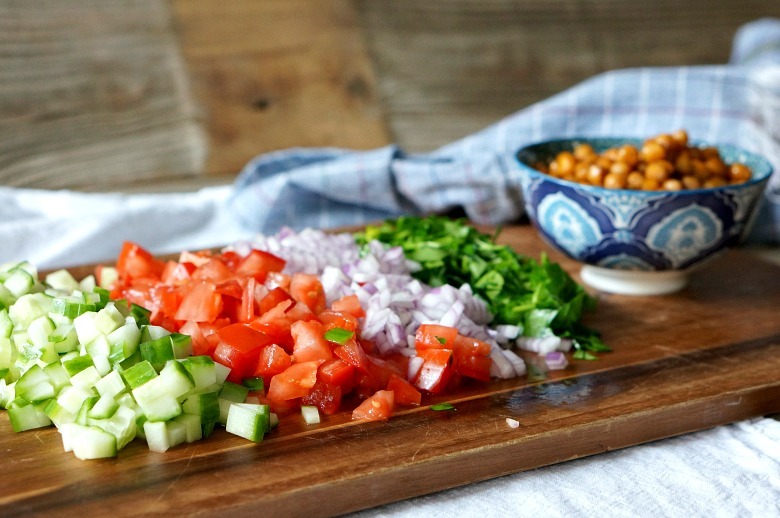 Top with chopped vegetables, roasted chickpeas, and crumbled feta. 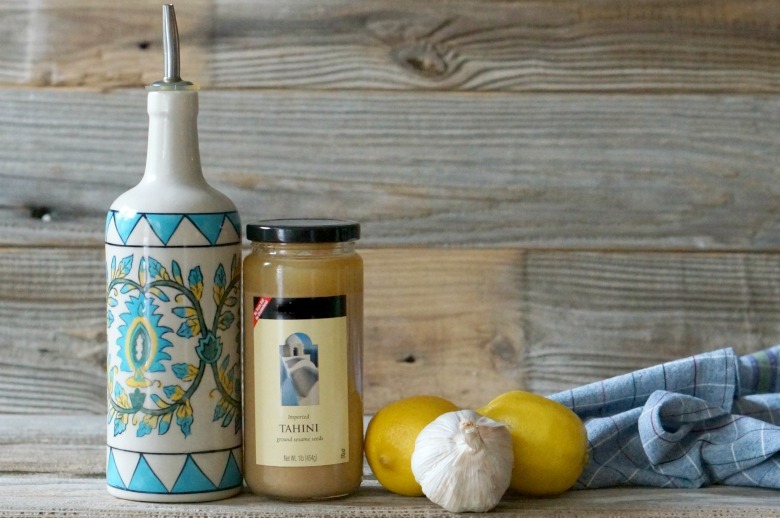 Drizzle with tahini and garnish with lemon slices. 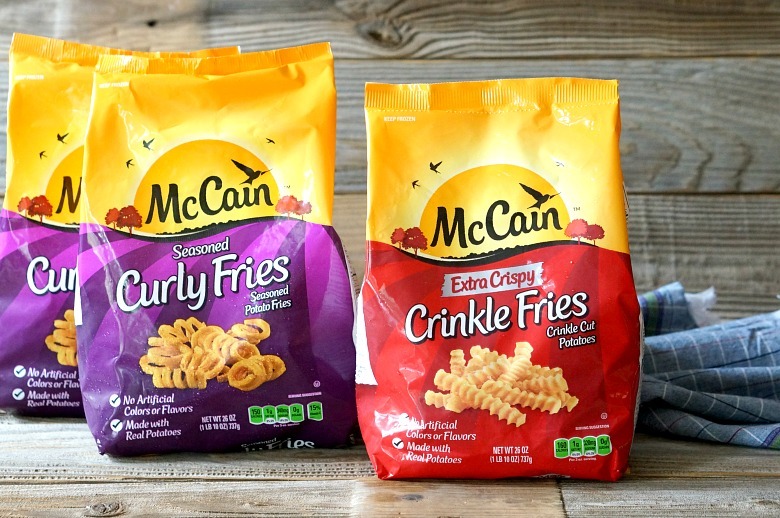 Score on McCain® Products at Walmart! 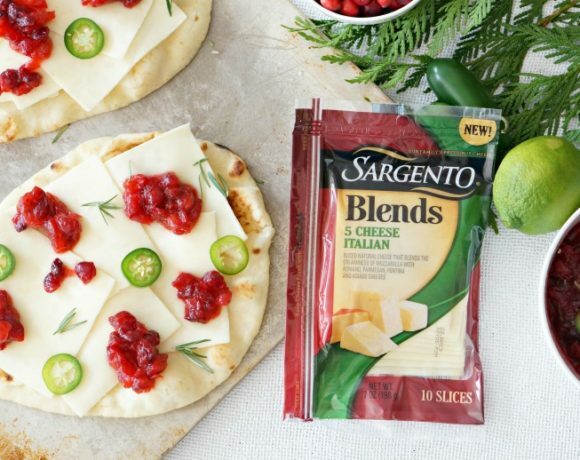 It’s even easier to score your game time party foods with Walmart Online Grocery. 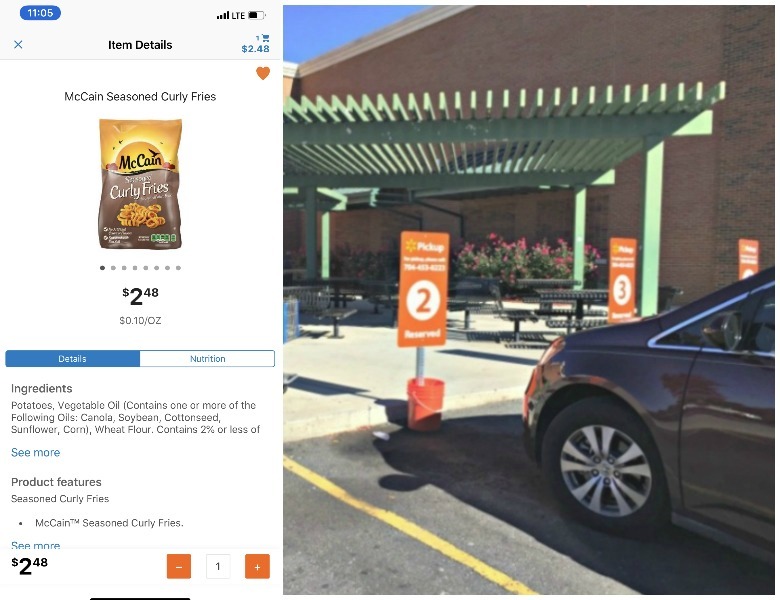 Shop online and pick up your groceries same day without getting out of your car! And, there’s no fee! 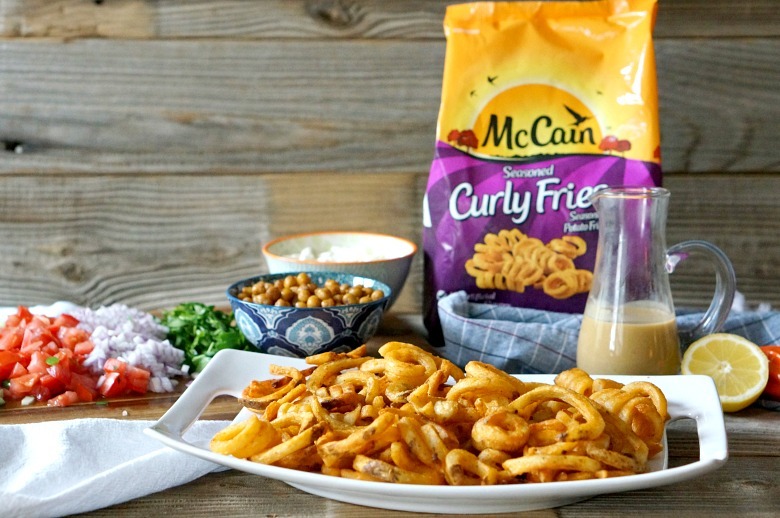 If you’d rather, you can always pick up your McCain products in the store. 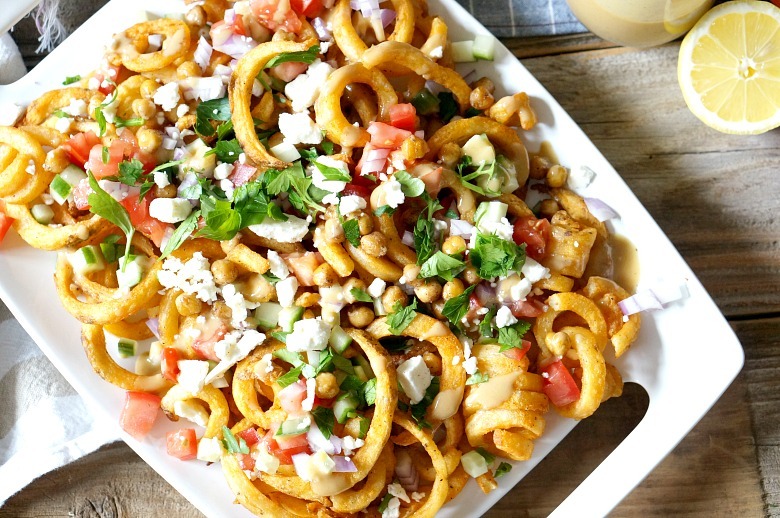 Save Mediterranean Style Loaded Street Fries to your Pinterest Board!